In our previous post, we discussed useful tips to help curb your energy usage and gain independence from high energy costs. However, we received quite a few questions from readers that although follow our money-saving tips, still are losing money due to outdated HVAC units, and are shopping Houston air conditioning deals for a new system. Ok, so if you are like our newest client Kathryn, and shopping around for a new air conditioning system—chances are you’ve been bombarded by many Houston air conditioning sales reps with a lot of shop talk. You’ve likely heard foreign terms like MERV ratings, Energy Star, and SEER—all of which we covered last month. Our apologies, because we realized we left out a few terms that really need their own article to be properly explained. When comparing units, especially in different price tiers, you’ve likely heard terms like single-stage, two-stage, andvariable-speed HVAC systems. As you know, here at Airteam, we strive to be transparent and speak in plain English with our customers. We educate you on the terms frequently heard in the Houston air conditioning industry so that you are well informed. So what do these three terms mean? What are the differences between them? And, which one is better for yourhome? Well, read on—we will break these terms down and then give you our honest, professional opinion on which is the best. Single-stage systems are the most basic available units in the industry. If you aren’t sure what you have now the chances are, if your home is over 15 years old and has the HVAC unit it originally came with—it’s a single stage. When contractors build homes in mass, they build them with the least expensive components. This type of system has only one speed for the compressor, so this means that once the unit turns on—it runs at full speed and only full speed for the duration it’s on. Cost:There is honestly not much else in the terms of pros other than the fact that for ultra-small, upfront budgets—this would be ideal for that reason only. But keep in there is a catch. Over time this unit will actually end up costing you more, read below to understand why. Lower energy efficiency: Even though Houston air conditioning companies sell single stage systems they aren’t as energy efficient as other advanced systems and are only recommended for budget restricted buyers. Your AC in the cooler months of spring and early fall won’t need to run at full power as much. Single-stage systems, however, have only one setting—full blast. So, you end up using more energy than necessary to cool your home and that impacts your utility bill in a major way. Compare a single-stage AC to a car that’s only used to drive around the neighborhood to the store, post office, etc.—all short, stop and go, quick jaunts. That car willuse up the gasa lot more than a car used for highway travel cruising steadilyat 65mph. A single-stage is the same way in its operation and it can lead to a lot more problems than just a high bill. Short-cycling: Since it runs at full-blast and only full-blast, this type of system runs in very short cycles of powering off and on over and over again. This is referred to as “short-cycling,” and it can lead to repetitive breakdowns that cost a lot to repair as well as a shorter system life. Uneven temperatures: Since a single-stage air conditioner cools the home by delivering short, powerful blasts of cold air and many intervals through the day—it leads to a very uneven climate throughout your home. If you have a multi-story home this problem is even worse and a single-stage is not recommended. When shopping Houston air conditioning systems, if you can afford to wait and save your money, finance or find some other way to get a more advanced two-stage or better unit—that is the ideal way to go. Even for a single-stage unit, you are still investing a significant amount of money and it’s better to get something that will actually cool your home efficiently and spend a bit more once and have something that performs well. However, if your budget is very tight, financing is not an option and you are in dire need of AC—then your circumstances, inthis case, put immediate need over long-termsavings and performance; and a single-stage is better than nothing. Two-stage air conditioners actually run at 2 speeds: high or low, hence the name, “two-stage.” This means that when the scorching Texas summers are uncharacteristically mild or it’s spring—the AC runs at a slower but steady pace to maintain your desired temperature. However, when those infernal summer days do try to melt everything in sight, not to worry—your AC can ramp it up and go full blast to still maintain a cool house. Typically, “low” speed runs at about 60-70% of the high speed, so it does save some money on energy. Efficiency:Let’s go back to the car comparison, because—well, it works. So, when a car cruises down the 610 loop at a steady speed (we’re imagining no Houston traffic, ok?) will consume less gas than a car speeding down 1960 but stopping at every single light then taking off again. The two-stage AC works like the car on the loop. It can adjust it’s speed as needed between two set speed levels and run steady, using less electricity but still maintain the temperature. Even temperatures:Because it produces a slow, steady flow of cool air, your home benefits from even temperatures throughout the home. No more hot spots, no more cold zones! Longer, quieter cycles:When running in low mode, a two-stage AC will operate at a far more quiet level than a single-stage AC. Cost:There really is only one downside to a two-stage AC, and in reality,it’s only a downside for those with a very limited upfront investment budget. In reality, the two-stage system, while costing more upfront than a single-stage system—it actually will cost less in the long run due to much higher efficiency and longer life cycle. If your budget allows for it or you can finance, we recommend a two-stage system as a nice entry level system that combines value with efficiency and sufficient cooling power. It will save you much more in maintenance costs in the long run and will help keep energy costs down as well. Although a two-stage unit is a worthwhile investment and offers greater efficiency than a single-stage—it still cannot compare to a variable-speed unit. While a two-stage unit only has two levels for cooling, a variable-speed system can gradually alter the cooling level down to as much as only 35% of its total capacity. The key term here is, gradually. This means it runs ultra-smooth and can change speeds dozens of times or more throughout the day as needed. Most comfortable option:This type of system cools your home down to the exact amount needed to maintain your set temperature. For example, when it’s very hot, it may ramp up to full blast to cool the home initiallyand then use a variation of speeds throughout the day to maintain that initial level. Most efficient:Since they can turn down their output to just 35% of capacity, variable-speed systems save you a lot of money, especially in the hot Texas climate. Cost: Again, the only con here comes down to your budget and financing options. Because even though variable-speed systems have the highest upfront cost, they also provide the highest energy savings annually. So, the trade-off is a higher initial investment for a unit that lasts longer and saves more money over time. Listen, only you know your budget constraints and all we can do is guide you to the best system that is right for you in your own circumstances. That being said, if you can afford it or finance it, we strongly recommend a variable-speed system. If your budget simply doesn’t allow for that, we suggest at least purchasing a two-stage system over a single-stage. Remember, the more efficient your system is, the more it saves on your energy bills over time, as most high-endmodels last 15 years or more with proper care. Also, a high-efficiencyunit increases the value of your home as well, should you ever decide to sell. Either way,we have financing optionsavailable and will research what rebates you might qualify for as well, to help you get the best system for your home. 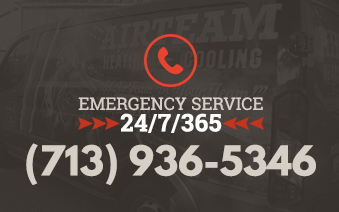 Contact one of our specialists to set up an appointment to visit your home and show you a better way to cool. PreviousPrevious post:Declare Your Independence From High Energy CostsNextNext post:Are You Prepared In Case Of A Flood?